Flying can be challenging, even if everything goes according to plan. However, even if you arrive at the airport with plenty of time to spare, check your bags and are patiently waiting at the boarding gate, there is still a chance that you won’t get on your flight. It doesn’t sound right, does it? But it happens. It’s called “being bumped,” and it can happen to almost anyone. Getting bumped from a flight is actually more common than most people realize. In a time when airlines frequently confirm more seats than are available to ensure that flights are full, getting bumped has become part of the travel experience. “Statistics from the U.S. Department of Transportation (DOT) show 56,968 passengers (0.92 per cent of all flyers) were bumped from domestic flights in 2013, while another 466,677 volunteered to take another flight in exchange for compensation,” says Camilla Cornell in the Financial Post. Unfortunately, the Government of Canada doesn’t keep records related to passenger bumping. There are rules in place, and travellers need to understand these rules so they are not taken advantage of by airlines. Airlines in Canada and the US that fly more than 30 passengers must ask for volunteers to give up their seats before denying a passenger a seat. Only if there are not enough volunteers will a passenger be bumped from the flight. Each airline chooses passengers to be bumped based on their boarding priorities. For example, you could be bumped if you paid the lowest fare for your ticket or if you were the last person to check-in for the flight. If you are bumped involuntarily, the airline has to provide you with a written statement outlining your rights. You are not entitled to compensation if the airline books you on another flight that is within one hour of your original flight. If you’re flying from the US, you are entitled to receive 200% of the one-way fare (including taxes, to a maximum of $650) for delays of less than four hours, and 400% (to a maximum of $1,300) for delays longer than four hours. In Canada, decisions regarding compensation are left up to the airlines. 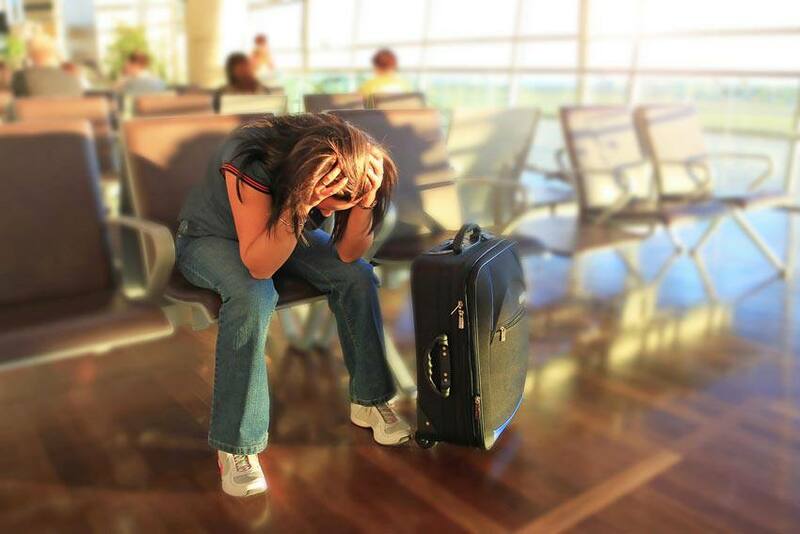 If you volunteer to be bumped, you will be compensated and booked on a later flight. However, before you agree to give up your seat, make sure there is a flight that works for you. Also, make sure you are aware of the amenities the airline will be providing; otherwise, you will have to pay for things like food and accommodation out of your own pocket. “DOT has not mandated the form or amount of compensation that airlines offer to volunteers. DOT does, however, require airlines to advise any volunteer whether he or she might be involuntarily bumped and, if that were to occur, the amount of compensation that would be due. Carriers can negotiate with their passengers for mutually acceptable compensation,” says the US Department of Transportation. Regardless of where you are flying, travel insurance should always be a travel companion. Make sure you are prepared for anything when travelling by getting a travel insurance quote.